Wireless carriers have come a long way providing LTE coverage in urban areas across the U.S., but there are times at large venue events when crowds put a great deal of strain on the cell network and everyone gets terrible service as a result. Currently, to handle those situations AT&T deploys portable mobile sites in trucks that have antenna towers mounted on them, but the company envisions a future in which drones will take their place. 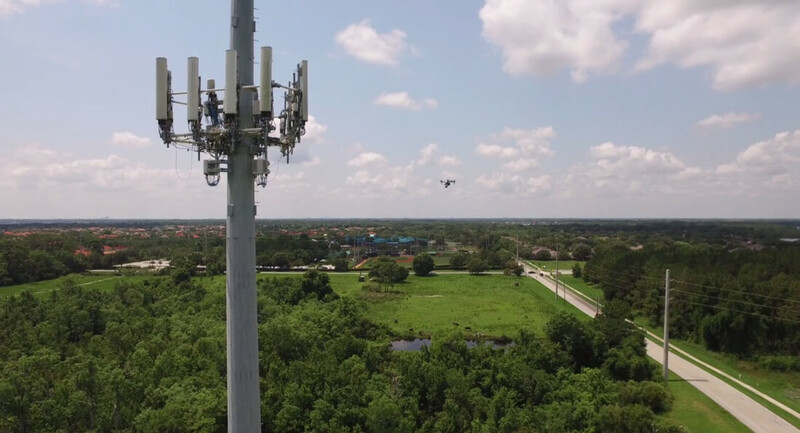 In a post over at AT&T’s Innovation Space blog, Chief Strategy Officer John Donovan detailed a handful of ways in which drones can be used to improve its services. Donovan says AT&T is already using drones to perform aerial inspections of cell towers, and will offer a live demonstration this week at our SHAPE Conference in San Francisco. This allows the company to conduct inspections at cell sites more quickly and safely. Going forward the company wants to connect drones -- or Flying COWs (Cell on Wings) as it is calling them -- to its nationwide LTE network to boost capacity at large events or being able to provide coverage as quickly as possible following a natural disaster. The company says it’s also looking at how in-flight drones could be used to send large amounts of data in real-time for business customers in industries such as farming, delivery services, insurance and even facility and asset inspections.